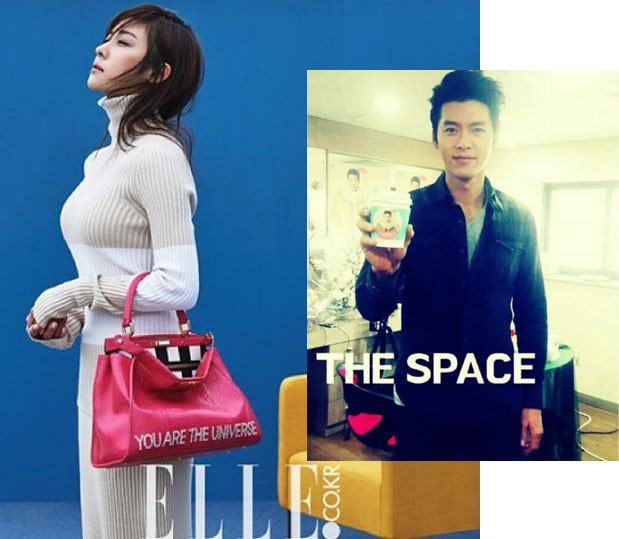 Ha Ji Won designed a bag for Elle with the phrase "YOU ARE THE UNIVERSE" printed on it. Her own established agency HAEWADAL literally means THE SUN AND THE MOON. She really likes STARS from the start if you have read her "At This Momonent" photobook. While Hyun Bin fans club were known as THE SPACE. Sorry I don't know when was that fans club name started. Did you see the connection between the UNIVERSE and the SPACE? The Universe is all the matter and energy that was released by the Big Bang.